A late night bar/club venue, promising premium pours and outstanding service. I wasn't happy with my night on Saturday particularly because of the bouncers. They don't treat people fairly and ruined my night. I think the prices are ridiculous and I don't think I'll be back. All in all everyone had a great night. The shots available in the booth were great. Only complaints would be slightly overpriced and alcohol arrived when only a small number of the party were in the club, and when I myself was at the toilet which was disappointing. To start with we waited over half hour to get into the nightclub even though we had a booth booked. Once we got in we had to pay £80 for our group to get in on top of the booth money. Terrible attitude from door staff and I will not be back. The hostess staff were lovely! It must not be the best having to deal with lots of drunk people but they were really patient and made us all feel very welcome. The service here is a disgrace!!! Me and a few friends had booked a booth for Saturday night and for literally no reason what so ever we were denied entry to the club and when we asked for a reason why we got nothing but negative comments from the door staff! We will not be returning! Never got to experience the club as the dickhead bouncers turned our party away, due to not believing the birthday girl (21st) was who she said she was! The only good thing about this experience, was receiving our £100 deposit back! Would give it 0 stars if it was allowed! Good sized booth and were very quick with refilling drinks. Hey! Really enjoy the club been a good few times now. But we had trouble with our transport on the way to the club so didn't arrive until 11.04. Which meant all 9 of us had to pay an £8 entry fee on top of the £350.00 booth and we also bought more drinks mounting up to around £150.00. So inlight of how much money we spent in the club that night I think being 4 minutes late could have been wavered. Also didn't feel the hostesses were very attentive. Wen we walked in I had to find someone to see us to our booth and had to constantly try and find someone through the night. I understand how strict your policy is on being there before 11 but it we did spend well over £500 that night and didn't feel it was really worth it or we were really looked after. Shocking never got our unlimited mixers because we never bought another bottle of grey goose which was 110 pounds and we had already got a booth, but took mixers away will not be back! The club itself and the service inside is great. However, the regular bouncers outside the club were very unreasonable and aggressive towards our small group. We had a booth pre-booked and already paid for yet the bouncers refused to let one member of the group inside. He was even perfectly sober and handled himself absolutely fine. When asked for a reason as to why this happened they smugly replied "you don't need a reason". Even after explaining the situation as kindly as possible to them they they still displayed a horribly arrogant nature and insisted it was their "final decision". Seemed to think they were all powerful gods or something. The fact they refused to tell us why suggests a possible case of discrimination. Brilliant night will definatly be back for another night out! Service was poor for the amount of money paid for the night. Mixers watered down, no leniency for in drink swaps price wise. Provided alcohol didn't stretch well for 8 people at the booth. No guarentee that other patrons would not take our pre paid booth. All around a sub standard evening. First and last time I will be visiting. I would like to bring a complaint to your attention about the service I was given when booking and upon arrival of my booth. I booked a booth for last night, Saturday 13th of February for my birthday. Firstly I had a lot of bother when trying to pay my booth deposit and the rude manner received over the phone. It is very unprofessional that your staff member Amber was very unreliable, when I was in contact with her she said that she would phone me on the Saturday afternoon to take payment for deposit but as hours past I had not received a phone call so I proceeded to phone her 17 times with no answer and voicemails left. Eventually she called me 2 hours before attending the club. The girls manner on the phone was also outrageously rude. Secondly the arrival to the club. My party turned up in three separate groups the first two groups got in with no problems but when the third group turned up your bouncers would not allow them into the club but had no reason to do so, none of them had actually started to drink and all your bouncers could say was 'not tonight... not tonight... not tonight' I'm am appalled at the whole situation we were happy to spend hundreds of pounds in your club but I was so deeply disappointed last night that I had to demand my money back and leave on my birthday night out which resulted in us going to another club. I am am very disappointed that nothing was resolved last night. We all attended Kokomo club on the Monday night, think as a company you should reevaluate how you treat your customers after all your wanting us pick your club for a night out. For future reference I know not to book a booth with you. Booked a booth for my birthday, turned up to be told "heres your money back sorry yous arent getting in" This is my 3rd time trying to get a booth with Kokomo and have only ever been let in when in a party full of girls! Both other times my boyfriend and also my friends boyfriend where attending booths for peoples birthdays and have been refused entry at the door. WOULD NOT RECOMEND BOOKING HERE TO ANYONE RUINED TWO BIRTHDAYS ALL BECAUSE WE HAD MALE COMPANY! I can't really comment on how I enjoyed my experience because one of your doormen wouldn't let half of my friends into the club even though I told them that they were apart of my booth&other had still to arrive! Upon asking what the reason was for him not letting my 4 friends his words were 'I don't have to give a reason' personally I think this is an absolute joke my 21st birthday night out was ruined&the doorman who was named Stuart wouldn't allow one of friends who was previously allowed in to go back inside to collect her jacket&purse! We then had to search the club for the hostess to try&get our money back will definitely not be coming back again because your service is terrible. I had my 21st on Friday night at Kokomo. The service was fantastic and so professional. The hostess took us to our booth and the waitresses were very professional. Empty glasses were removed immediately and everything was kept clean. Mixers were topped up efficiently. My only complaint is the bouncers. I understand it is an upmarket club and they want to keep the drunkards out but I was a bit wobbly as I had very tall heels on. I came outside to look for my boyfriend and I was told I was too drunk to go back inside. I was very upset as my wallet, phone, coat and everything was inside. I wanted the bouncer to come inside with me to get my things and let my friends know where I was but they said no. I had to wait outside in the cold for someone to come out. After spending about £200 that night to celebrate my birthday, I felt really gutted that I was pretty much chucked out. I wasn't causing any trouble or harm to anyone. I understand they have a job to do but I feel that it is irresponsible to keep girls out of the club and leaving them on the street in a vulnerable position. The club itself had a great atmosphere and I really enjoyed how upmarket it was compared to the other clubs in Glasgow. I would return for the atmosphere but I am so put off by the treatment of the bouncers I don't think I would return anytime soon. Hi there had a booth booked for me and around 10 friends for a birthday, had all but paid for the booth to be rejected at the door by the bouncer for what seemed to be because he didn't like the look of us as we were all smartly enough dressed and all sober at this point. 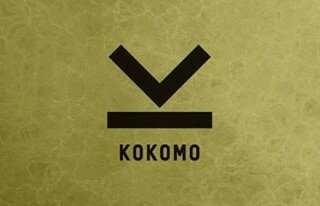 Terrible service and when I asked the bouncer why we weren't getting in his answer was "I don't need to tell you" so I would not recommend Kokomo to any of my friends or anyone I know whatsoever.